Patrick and Molly Lockwood are just two quirky, creative, song-writing, people-loving, adventure-seeking, Jesus-craving sinners saved by God’s incredible grace! They’ve been together ever since 2005 when they fell in love jamming in Belmont University practice rooms. Their journey together since 2005, and since marriage in 2008, has been marked with many joys; but also many trials and sufferings which they openly and honestly share about in their songwriting. They hope that against the backdrop of their real life experiences, you will see Jesus, and His mighty love for broken people! 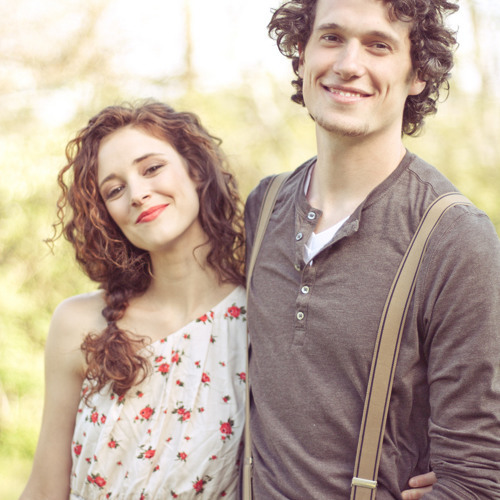 After three years of touring full-time solely with MOSAIC, an alliance of songwriters committed to “teaching God’s Word through music”, Patrick and Molly are excited to each be releasing an album of original songs in the Spring of 2013. They will begin in April traveling and sharing these songs and stories with Patrick on guitar, Molly on piano, and their two simple voices. If you’re lucky, you may get to hear their baby boy, Eli, wailing his own tune the background.